Drum Roll Please….. ba dum ba dum bum da dum. Remember what it was like when you went to the optometrist and you LIED and said you couldn’t read the letters because you really really wanted glasses. ,Well get ready for that feeling all over again. 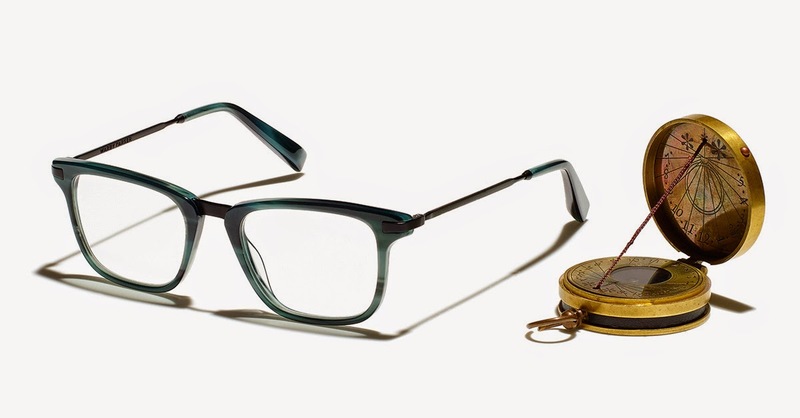 So if you don’t know much about the company let me break it down for you: a handful of very attractive people (scruff, good style and even better glasses) started designing your glasses they way they know you want them. They’ve taken over a niche in the market where there used to be nobody, in their words they have ” […] circumvented traditional channels , designing glasses in-house, and engaging with customers directly, we’re able to provide higher-quality, better-looking prescription eyewear at a fraction of the going price.”You get what you want for the price you want. Not only are they making glasses that we North Americans want to wear, but they are also providing children in third world countries with glasses. In fact, they have now donated over 1’000’000 pairs of glasses. Yea, they’re good looking do-gooders. Click here for the full breakdown. Alright so back to what you came here for, Spring 2015. Their SS15 season is inspired by the sea; this means nautical touches, saltwater matte finishes, jellyfish inspired colour flecks etc. They have created a story without being too literal, which is great. I love colourful frames, I love when there’s more than one colour in a frame because it adds intrigue to whoever is wearing them, and for that, I love this collection. 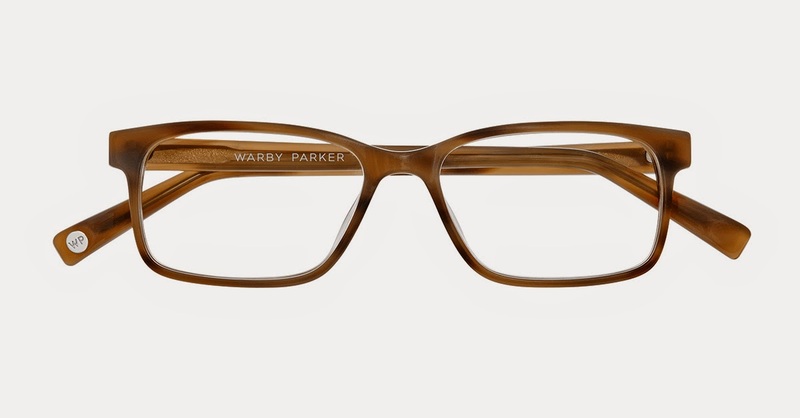 Featured below are my pick of the litter, the strongest and most interesting frames. 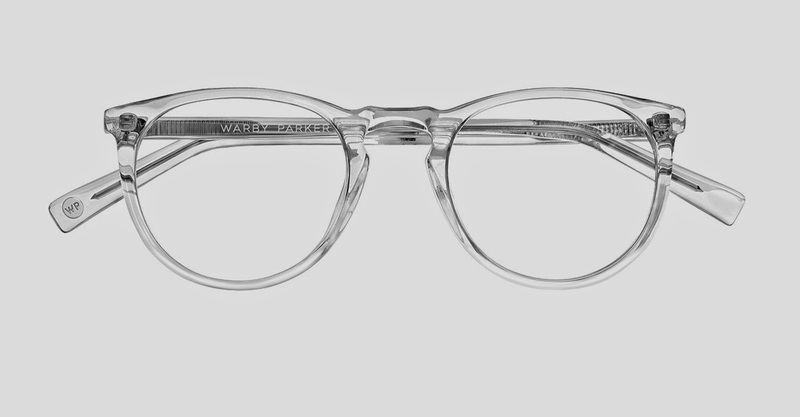 Ok here is one of my favorites, such a simple pair of glasses yet we never see anything like this. They’re clear, no colour debacle no questioning what colour to pick or whether or not they’ll go with the majority of what’s in your wardrobe. However, ladies! note any makeup will be visible from the other side, certainly something you didn’t have to think of before but I think they’re worth it. They’re clean, classic, and as crystal as the water we hope to see when we go to the beach. They’re a must-have. I really like the Sullivan’s in this colour scheme, it walks the border between that 70’s show and a cool guy. 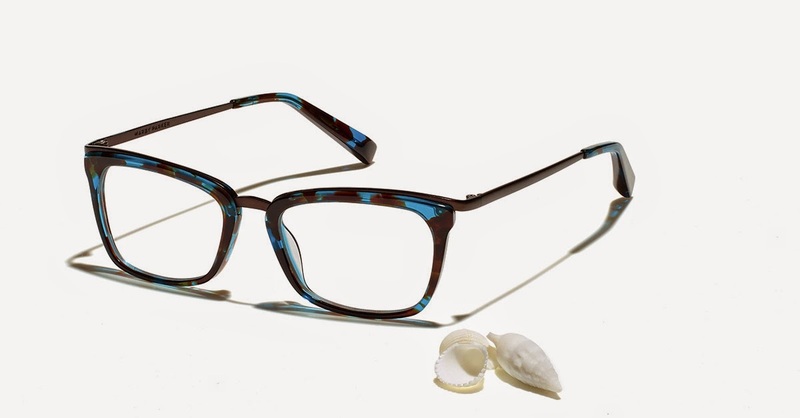 This teal and mahogany combination is a little bit retro, by throwing in a matte finish it adds a modern touch that helps to keep you from looking like you swiped your dad’s old frames, they add a little “je ne sais quoi”. Every collection needs a couple pieces to help fill the collection, what I mean by this is that there are some items that are designed to tie things together, Striped Beach is one of them. These glasses are designed with the safe but interesting person in mind. 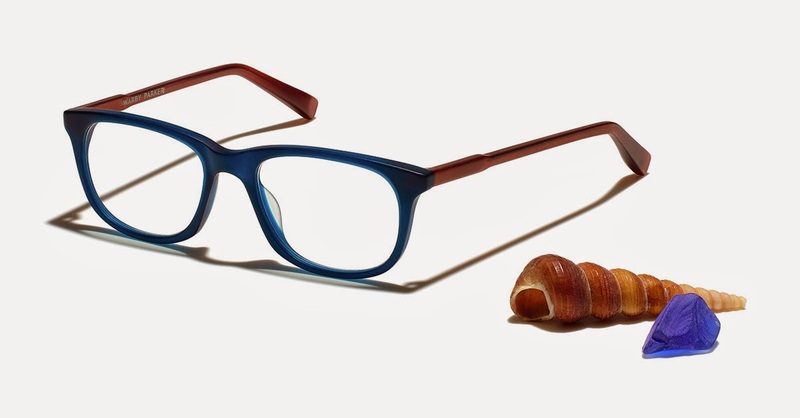 These glasses are great because they’re more than just your tortoise feel, they’re lighter than that, they add light to the face. Great as a staple pair of glasses, not a pair to wear if you’re trying to blow us away with your coolness. These glasses instantly remind me of the depths of the ocean; I immediately think of deep sea divers and what they would see if they were to look up at the sky while still deep below the surface. This is a deep pair of frames, and the frame is manly enough for any man and modern enough for any woman. 5 stars. Ok, I’m crazy about this shape. 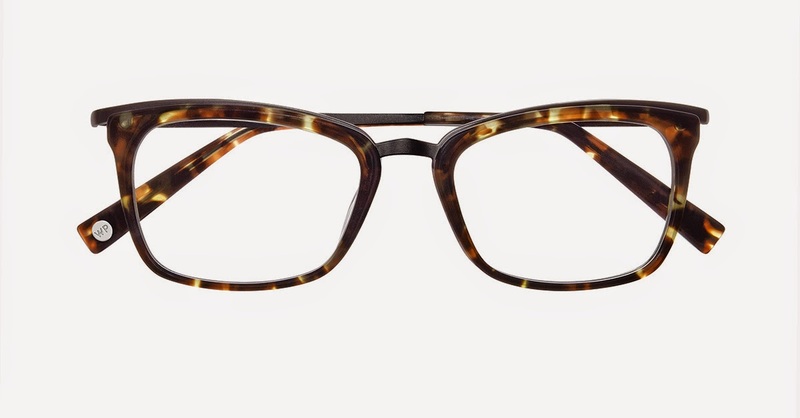 These glasses have a touch of cat eye flare without screaming “I love the 60’s “, and yet they’re still very ‘unisexy’. The only thing I wish was that they were a little bit more narrow through the bottom for the ladies. 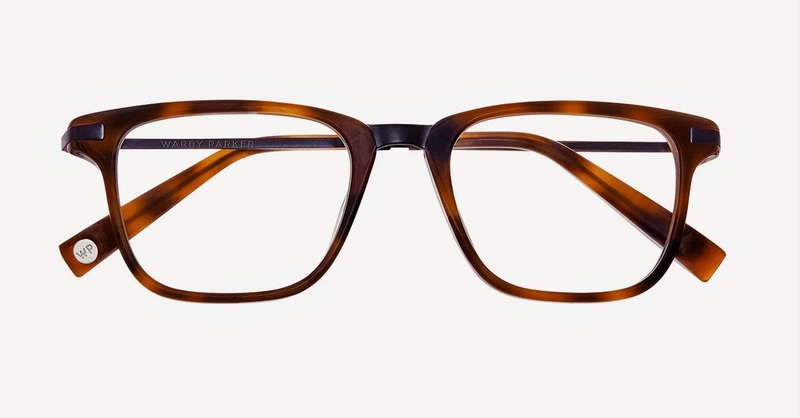 Great and incredibly interesting men’s frames. I love all the added tones in these glasses but I wish they were a little bit more see-through, or that the tones of brown were a little bit lighter. This teal clarity is really beautiful and the inspiration is clear but I feel like the darkness falls a wee bit flat against such a great colour, I would’ve gone with a sandier brown- but still a favourite. These glasses are beautiful. Words that come to mind are pearls & luminescence. The frame works well with the colors as it’s quite neutral and not too unique. But please take some more time to admire the colors: the sandy peach, this aquatic lavender, the dark hues adding depth. These glasses will bring out your inner mermaid, and as women let’s be honest that’s almost all we want in this world. 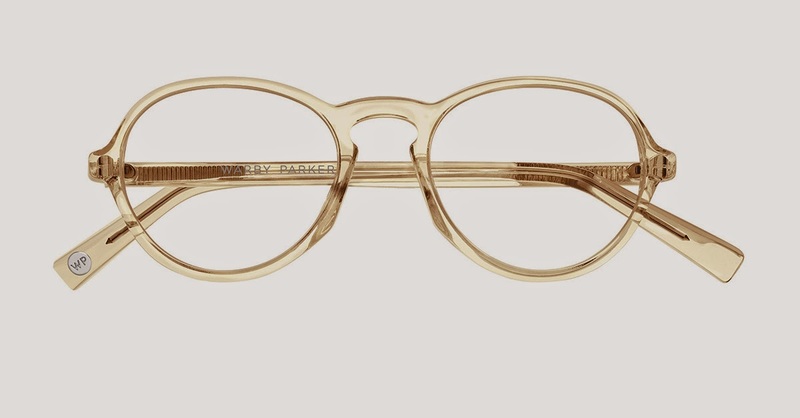 All in all, I would say Warby Parker killed it this season, they’re creative and a little bit more risky than what we normally see, not to mention there is a great sense of harmony within the collection. Not so fast, a collection would not be any fun without a couple not so great pieces so here are the glasses we recommend you stay away from. The frame isn’t terrible it’s more the colour that’s off. It looks as though it was meant to be one color and the sun accidentally washed it out. We also fear the colour may wash you out, and well… we don’t want you to drown behind these frames, tread carefully. The frame shape is great, its the colour that isn’t working for us- it’s just so flat and expected. If the collection is all about spring, these glasses give off too much of a summer school, stay home and read kind of vibe. Stick to the top portion of this article and it’s all smooth sailing from here. How To: Save Your Eyes From What?